The Morning Banana Diet is the latest trendy diet that is taking Japan by storm. The Banana Diet gained popularity in Japan causing sales of bananas to increase 80 percent in just one week. This craze has caused a banana shortage at many local and large grocery stores in Japan. So what makes people bananas over this new trendy diet? Is this just the latest diet fad or diet miracle? The morning banana diet is very simple. Eat as many bananas as you want in the morning with warm water (hence the name Morning Banana Diet). Then for lunch eat what ever you like! That’s what I said – whatever you like even pizza or fries. Of course healthier foods are the prered choices. The only beverage allowed with all meals is warm water. If you are hungry come mid afternoon, you are allowed a snack. This is the only time of day you are allowed something sweet. So if you are craving something for your sweet tooth, eat it now as there will not be another chance on this diet plan. For dinner, again you can eat whatever you want but no dessert. Dinner should be no later than 8:00 pm. You cannot eat anything after dinner and you must go to bed by midnight. There is no ice cream, dairy products alcohol or dessert allowed after dinner. One factor of this diet that has many people going bananas is that there are no exercise requirements. While exercising is not prohibited, they advise to do it only if you want to. And if you do exercise, they suggest that it be done in a manner that is the least stressful. That’s it for the rules of the Morning Banana Diet - simple and to the point. Bananas - Super Food or a Slippery Peel? There is no question that bananas are a healthy food and contain potassium other nutrients we need. Bananas can be filling, more filling than other fruits. It has a high water and fiber content which are also good things. Similar to the Grapefruit fad diet or the Cabbage Soup diet, the thought behind the Morning Banana Diet is that bananas are the super food to help you lose weight. The problem here isn’t that bananas aren’t good but that a diet that revolves around them is suspect at best. This diet is not amongst the favorites of many dieticians and nutritionists. In fact, this just appears to be the latest diet trend that has caught the attention of many people in Japan and is now spreading to the western countries as well. The morning banana diet was introduced by a pharmacists, Sumiko Watanabe and her husband, Hitoshi Watanabe. They designed this fad diet as a means to increase her metabolism. Mr Watanabe lost 37 pounds on this diet and introduced it on “mixi”, one of Japan’s largest social networking services. It gained popularity after a famous opera singer Kumiko Mori claimed to have lost 15 pounds on this weight loss plan. Her success was posted to a website and the rest is history. This craze has not only left a shortage of bananas in the store, making the suppliers of bananas extremely happy, but sales of the Morning Banana Diet books have reached 730,000 copies. 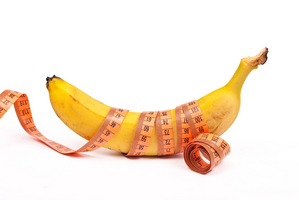 The Morning Banana Diet – Is it for you? Before you jump on the fad diet bandwagon, keep in mind that diets that do not promote complete healthy eating and teach lifestyle changes tend to fail in the long run. Even though some people have been successful at this weight loss program it is still too early to tell if the weight lost is a lasting weight loss. You may be thinking this one is easy so why not give it a try. This diet offers little guidance to overall nutritional needs and does not even explain why bananas and warm water. Losing weight is and always has been a simple formula of consuming fewer calories than you burn. So if you eat 20 bananas for breakfast, a large pizza for lunch, and a large helping of mashed potatoes, dinner rolls and a 16 ounce steak for dinner, chances are this diet won’t work for anyone. This example is a bit extreme, but it is to demonstrate the risks with this fad diet. Without the proper nutritional guidelines or a means of tracking your calories, you are setting yourself up for potential "slip" and failure. The Morning Banana Diet seems to lean towards the fad diet column. Any diet that claims only one super food is the answer is generally setting you up for failure. Even though bananas are healthy, they are not the one and only super food to make you lose weight. So go ahead and have bananas with your weight loss plan. After all, they are a healthy food and provide valuable nutrients. Just don’t assume that they are the “super food” that will make you shed pounds quickly. In addition to the Morning Banana Diet trend, read the review on the 4 day diet. Is this another fad diet or can you achieve the same results as the contestants. Find out here more about this latest trendy diet. Check out these healthy tips for losing weight quicker to jump start your diet plan. Read these reviews on different weight loss plans you can do all online.